Something my dad brought my sister and I up with was early morning bike rides! So last night my sister ordered me to set my alarm clock for 8am as the next morning we were heading out. As we left it was slightly snowing, but hardly a hinder to us. However, after our traditional McDonalds breakfast halfway through the ride, we got hit by a rather heavy snow storm! 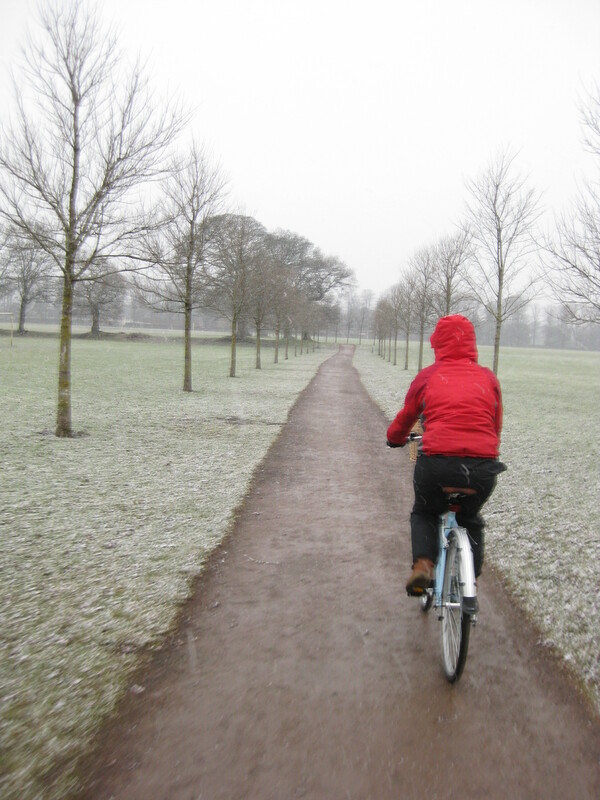 We ploughed on and returned home after cycling for about two hours in the snow, even though I got more snowy than planned, it was a great (and brisk) way to start the day!